GRE vs GMAT: What's the Difference? Which to Take? GRE vs GMAT: What’s the Difference? Which Should You Take? It used to be fairly straightforward: if you wanted to go to get an MBA, you would almost certainly have to submit GMAT scores. However, in recent years, many business schools have started to accept the GRE in place of the GMAT. What are the differences between the GRE and GMAT? Do business schools prefer one over the other? Should you take the GMAT or the GRE? In this comprehensive guide, I’ll break down both exams and do a thorough comparison of them. I’ll then discuss how schools feel about the GRE vs. GMAT and walk you through the steps you need to take to figure out which exam is best for you. Before we get into the nitty-gritty of what’s on each exam, let’s talk big picture: how the tests are structured and scored. The GMAT is taken by people who plan to attend business school and/or an MBA program. It’s used almost exclusively for admission to these types of programs. 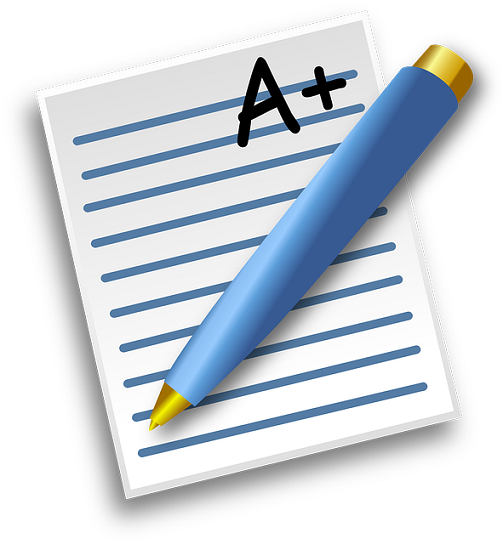 The Analytical Writing Assessment consists of one 30-minute essay. Integrated Reasoning contains 12 questions. The Quantitative section has 37 questions. The Verbal section has 41 questions. If you take the GMAT, the most important score you receive will be your composite score, which can range from 200 to 800. The composite score takes your only your scores from the Verbal and Quantitative sections into account. Your scores on Analytical Writing and Integrated Reasoning are not included in this score. You’ll also receive specific section scores. The Verbal and Quantitative sections both have score ranges of 0-60, in one-point increments. The score range for Analytical Writing is 0-6, in half-point increments, and the score range for the Integrated Reasoning section is 1-8, in one-point increments. 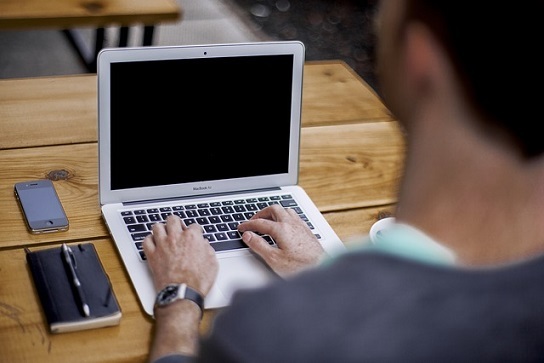 The GMAT is taken on the computer, and it is an adaptive test. This means that, when you begin the Quantitative and Verbal sections, the first question you see in each section will be medium difficulty. If you answer that question correctly, the next question will be slightly harder, and if you answered incorrectly, the next question will be slightly easier. This process continues throughout the entire section for both Quantitative and Verbal. Once you answer a question on the GMAT, you can’t go back to it. Adaptive testing is used to get more accurate scores by selecting specific questions with varying difficulty levels from a larger pool. The most significant difference between the GMAT and the GRE is that the GRE is used as part of admissions for a wide variety of graduate school programs, while the GMAT is only used to apply to business schools. The GRE has three major sections: Analytical Writing, Quantitative Reasoning, and Verbal Reasoning. Like the GMAT, the score range for GRE’s Analytical Writing section is 0-6, in half-point increments. Both Verbal Reasoning and Quantitative Reasoning are scored the same way. Their score range is 130-170, in one-point increments. The three section scores are generally reported separately and not combined into a single composite score. The GRE is also typically taken on the computer, and it is section-level adaptive. This means that your score on the first section of both Verbal Reasoning and Quantitative Reasoning will affect the difficulty of the questions tested on the second section for each subject. Unlike the GMAT, where each individual question determines the difficulty of the next question, on the GRE, your score on the entire section determines the difficulty of the next section on that subject. On the GRE you can return to questions you’ve already answered within a section. What Do the GRE and GMAT Cover? How Are They Different? Both exams have questions in three main subject areas: verbal, quantitative (which includes the GMAT’s Integrated Reasoning section), and writing. These sections take an in-depth look at the format and content tested for each of the sections on both exams. I’ll also explain which exam is generally considered more challenging for each section. Let’s start by discussing the verbal sections for each test. Though they have many similarities, the GMAT is more focused on grammar, while the GRE test vocab more aggressively. The Verbal section of the GMAT tests your ability to understand written material, evaluate arguments on different topics, and identify and correct errors in written material. The GRE’s Verbal Reasoning measures your skills in analyzing and drawing conclusions from written excerpts, identifying main points in texts, summarizing passages, and understanding the meaning of words, sentences, and complete passages. Reading Comprehension: You’ll be given a passage and have to answer big picture and specific detail questions that relate to it. Text Completion: These questions will have a short passage containing one or more blanks. You’ll have a list of words you can choose to put in each blank, and you’ll have to decide which is the most appropriate word. Sentence Equivalence: You’ll be given a single sentence with one blank, as well as six answer choices. You’ll need to choose the two options that both fit in the sentence and produce sentences that have the same or similar meanings. Which Exam’s Section Is Harder? As you can probably see, the Verbal sections on the GMAT and the GRE test similar skills: reading comprehension, critical thinking, and grammar. There isn’t a huge amount of difference between the two; however, the GRE is generally considered to have a slightly more challenging Verbal section. It tends to include more challenging vocabulary and reading passages, which can make it especially difficult if you’re not a native English speaker. Also, the GRE’s Verbal section tests grammar more than the GMAT’s Verbal section. As a whole, though, the Verbal sections of the two exams are pretty similar. The quantitative sections of the GRE and GMAT are fairly similar in what math concepts they cover, but their approach to those topics are pretty different. The GMAT has two sections that test math skills: the Quantitative section and the Integrated Reasoning section. The Integrated Reasoning question also tests quantitative skills. This section contains four question types: graphics interpretation, two-part analysis, table analysis, and multi-source reasoning. They each test how well you can analyze and interpret data to solve complex problems. On this section you’ll have to be able to interpret information presented in graphics, text, and numbers, combine information for multiple sources to solve complex problems, and find and analyze relationships in information to solve problems. The majority of questions are multiple-choice; however, there will able be several numeric entry questions where you’ll have to enter in the correct answer instead of just selecting from given choices. Additionally, there will able be a few multiple-choice questions known as Quantitative Comparison questions. For these questions, you’ll be given two quantities: Quantities A and B. You’ll be asked to determine if Quantity A is larger, Quantity B is larger, the two quantities are equal, or the relationship can’t be determined. It’s widely agreed that the quantitative sections of the GMAT are more difficult than those of the GRE. The quantitative sections of both exams test similar topics such as data interpretation and equation solving. 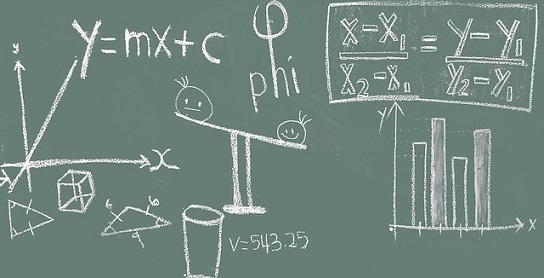 Neither exam tests higher-level math subjects like calculus, so you could technically have only a high school math education and still answer all the questions. However, the GMAT, particularly during the Data Sufficiency questions and the Integrated Reasoning section, has more challenging quantitative questions that generally require more critical thinking and analysis. Also, the format of these questions can be unusual and not what test takers are used to. 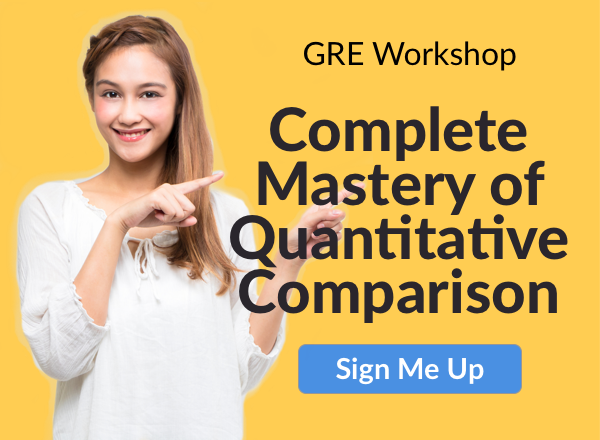 GRE quantitative questions are mostly either straightforward multiple choice or numeric entry, both of which you likely have a lot of experience with. The major difference between GRE and GMAT writing is that the GMAT only requires one essay and the GRE has you write two. But read on for a more detailed breakdown. The Analytical Writing Assessment Section on the GMAT contains one essay prompt that you’ll have 30 minutes to complete. For Analytical Writing on the GRE, you’ll have to write two essays: Analyze an Argument and Analyze a Task. You’ll have 30 minutes to write each essay. The Analyze an Argument essay is similar to the essay for the GMAT. Here you’ll also have to critique a given argument. For Analyze a Task, you’re given an argument, and you’ll need to explain your own stance on the issue and justify that stance with evidence. The GMAT and GRE have writing sections that are fairly equal in terms of difficulty. For both, you have to write an essay where you analyze the strengths and weaknesses of a given argument. The GRE has a second essay, but if you can do well on the first essay, you can likely also do well on the other, even if you have to do some studying and preparation to know what essay graders are looking for. The Analytical Writing section on the GRE is 60 minutes compared to the GMAT’s 30 minutes, but since the overall length of time for each test is about the same, it doesn’t make the test as a whole much longer. So, as long as you don’t feel that writing for an hour compared to 30 minutes will make you too tired to do well on the rest of the exam, regard these sections as about equal. Do Business Schools Prefer the GMAT or the GRE? Most people (about 90%) applying to business school submit GMAT scores, but more people are submitting GRE scores each year. Many schools will accept both GMAT and GRE scores, but does submitting scores from a particular exam give you an advantage? About 90% of business schools in the US will accept either GMAT or GRE scores. You can check to see which MBA programs accept the GRE and which business programs accept the GMAT. However, just because a school accepts scores from either exam does not automatically mean that they view the exams equally. A 2015 survey conducted by Kaplan Test Prep of over 200 business schools found that 25% of business schools prefer the GMAT over the GRE. This number rose from 18% in their 2014 survey. There are three main reasons why some business schools prefer the GMAT over the GRE. The first is that they feel the questions on the GMAT, particularly the Quantitative and Integrated Reasoning sections, test skills and knowledge more directly related to what you’ll need to know to do well in business school, such as more multi-part reasoning and data interpretation. A second reason is that some schools believe that submitting GMAT scores shows that you’re certain about attending business school and committed to that career path. “The GMAT is the test that shows that they’re serious about going to business school,” says JoAnne Goldberg, a former assistant director of admissions at the Stanford University business school. The GRE is used for admissions to a much wider variety of grad school programs, so submitting GRE scores could make it seem like you’re not sure which grad school program you’re interested in and are trying to keep your options open. Additionally, the majority of business school candidates still choose to submit GMAT scores over GRE scores, and many business schools are more familiar with the GMAT. So these schools are better at interpreting GMAT scores and what they indicate about your skill levels in certain areas. If a business school receives GRE scores from an applicant, they may not get as much information from those scores because they aren’t as familiar with the exam, and/or they may have to convert the scores to the GMAT scale in order to interpret them. It’s important to note that the survey still found that the majority of business schools, 74%, state that they have no preference when it comes to GMAT vs. GRE scores. Additionally, some of the country’s most prestigious business schools, such as Harvard Business School, Yale School of Management, and Stanford Graduate School of Business have made it a point to specifically state that they view the two exams equally. So, an increasing number of business schools prefer the GMAT over the GRE, but they are still the minority. Most schools have no preference between the two exams, and, even if they do, almost all schools will accept scores from either test. Ask yourself each of the questions in this section to figure out if you should take the GMAT or GRE. However, before you spend a lot of time thinking about the questions in this section, there are two things you should do. 1. Learn School Exam Policies: First, research the exam policies of the top schools you’re interested in. Many schools will state which exam(s) they accept on their admissions page, but you may still want to contact someone from the admissions office directly and ask them if they prefer one exam over the other. As we saw in the previous section, many schools will accept both the GRE and the GMAT, but they may prefer the GMAT. Speaking to someone directly can sometimes get you more specific information. 2. Take a Practice Exam: Next, take a practice test for both exams (you can download software for both official GMAT practice exams and official GRE practice exams). These tests are long, so don’t take them back-to-back just to get them out of the way. Try to take the tests under as realistic testing conditions as possible: taken in one sitting, with the same breaks you’ll get on the real test, and minimal distractions. Then, grade the exams and see how well you did. Compare your GMAT vs. GRE scores (we explain how to do this further on in this section) and think about how you felt during both tests. Did you score significantly higher on one test than the other? Did one test feel more challenging than the other? Keep these things in mind as you ask yourself the questions below. A note on taking both exams: It’s completely possible to register for and take both the GMAT and the GRE. However, this isn’t recommended for most people because of the time and money it takes to study for each exam. Many people study for weeks or even more to take one of these tests, and doubling that amount of preparing in order to take two exams can get overwhelming. Now onto the questions you should ask yourself. What Are the Policies of the Schools You’re Applying To? This is where the research you did becomes important. What did you find when looking at exam policies? Did a lot of them prefer the GMAT? Did they consider both exams to be equal? If one or more schools you’re interested in have indicated that they prefer GMAT to GRE scores, that’s a strong reason to take the GMAT because it can give your application a boost. If the schools that you’re looking at have no preference or their preference isn’t enough to make a final decision for you, keep reading. What Are Your Grad School Plans? The GRE is the most widely-accepted graduate school admissions exam, and it can be used to apply to a wide variety of programs, from a Master’s in French Literature to a PhD in astrophysics, and many programs in between. The GMAT is almost only used to apply for business schools. If you’re certain that you want to attend business school and have no interest in other programs, it may be best to take the GMAT because it will show schools that you’re committed to attending business school and only business school. However, if you’re interested in business school but also thinking about non-business grad programs, taking the GRE helps you keep your options open since you can use your GRE scores to apply to most grad school programs in any discipline. Which Exam Can You Get a Better Score On? Your practice test scores will give you an idea of how well you’ll do on each exam, but there are also other ways to estimate how well do on the GRE vs. GMAT. 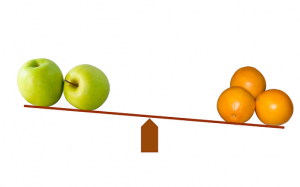 The GMAT and the GRE use different scoring scales, so it can be difficult to compare your two scores directly. Fortunately, we have a conversion table that allows you to convert your scores from one exam’s scoring scale to the other. So, you’ll be able to see roughly what your GRE score would be on the GMAT scale and vice versa. This lets you easily and more accurately compare your two scores so you can get a better sense of which test you’d score higher on. As mentioned above, the GMAT is generally considered to have more challenging quantitative questions while the GRE has slightly more challenging verbal questions. If you’re significantly stronger in one area than the other, it can help to play to those strengths and choose the test that aligns with your strengths and weaknesses in those subjects. A third factor that’s less important but still worth considering is that you can go back and check your work on questions within the same section during the GRE, but, on the GMAT, once you answer a question, you cannot go back to it. If you’re someone who likes to check their work or skip questions knowing you can come back to them later, the GRE’s format may work better for you. Do the Logistics of One Exam Work Better for You Than the Other? A final consideration is the nuts and bolts of each exam, such as when they’re offered and how much they cost. These shouldn’t be the primary factors you consider, but they’re something to think about and can help you finalize your decision. 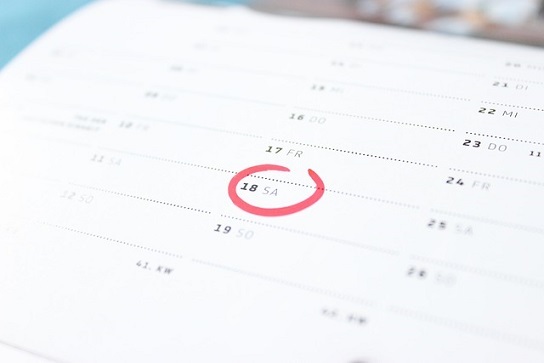 Both the GRE and the GMAT are offered year-round at many testing sites, so you’ll likely have plenty of flexibility for where and when you want to take either exam. However, the GRE is offered more often and at more locations than the GMAT, so a testing center for this exam will likely be closer to you, but it’s not guaranteed, and the difference in distance may not be very much. It’s worth looking on the websites for each test and seeing where the closest test center for each of them is and if there are still spots free on the date you want to take the test, just to prevent any unpleasant surprises. If you choose to take a particular exam more than once, the GRE gives you more flexibility than the GMAT does in terms of which scores you send to schools. With the GRE, you can choose to send any or all your GRE scores to schools without them knowing if you withheld any scores. For the GMAT, your score report will automatically contain scores from every GMAT you took. The costs of both exams are pretty equal, so this likely won’t be a deciding factor. However, it’s still good information to know. The cost of taking the GMAT is slightly more than the cost of taking the GRE ($250 compared to $205). The GMAT fee includes five free score reports while the GRE only includes four free score reports. If you think you’ll have to take the test multiple times, the GMAT’s higher fee could cause this to be something to consider. To send additional score reports, it costs $28 for each GMAT report and $27 for each GRE report sent. Another thing you may want to think about is scholarships. Some schools require applicants to submit scores from a specific exam in order to be eligible for certain scholarships. 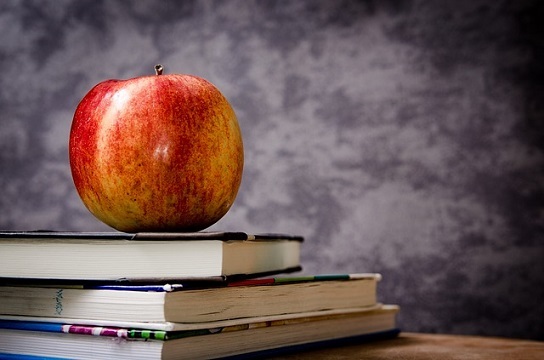 If you’re looking for ways to keep your education costs down, you may want to make sure you’re not missing out on certain scholarships due to the standardized test you chose to take. As more and more business programs accept the GRE, many people are faced with the decision of whether to take the GMAT or the GRE. Both exams contain writing, quantitative, and verbal sections that cover many similar topics. However, most people agree that the GMAT has more challenging quantitative questions and the GRE slightly more challenging verbal questions. Many business schools have no preference between the two exams, but there are some that prefer the GMAT because they believe it tests skills more directly related to business school coursework and submitting GMAT scores shows the applicant is committed to business school. To figure out which exam you should take, first research the exam policies of the top schools you’re interested in and take a practice test for each exam. Review this information, as well as other differences between the exams, to help make your final decision. Remember that your test scores are only one part of your application, and you should also make sure other parts, such as your personal statement and letters of recommendation, are strong as well in order to maximize your chances of getting into your top schools. 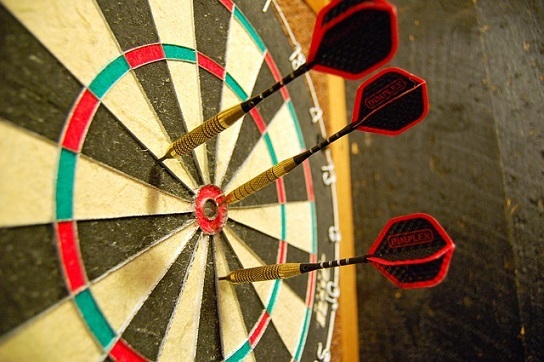 What GRE score should you be aiming for? Learn what a good GRE score is and how you can reach it. Previous Previous post: What Are GRE Subject Tests? Should I Take One?